I admit it. I’ve had pretty much a lifelong habit of reading books for the purposes of working out how to get better at this whole life business. 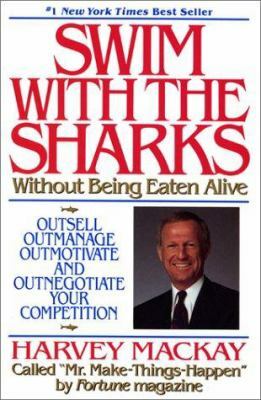 Often the books were designed specifically for the purposes of self-improvement. Sometimes that wasn’t the aim, but they gave me something I could use in any case. Only occasionally would one come along that would stick. It would change my attitudes and understanding so comprehensively that I would find it became part of my world outlook and / or part of my daily habits. I thought some might find it interesting to hear about these. I would certainly be interested to hear about yours! I hesitate to start with this one, because it’s probably not one I’d recommend for the modern audience. But it came first chronologically for me, and it (along with Mark McCormack’s books, like 110% Solution) was hugely influential in encouraging me to (a) believe I could do whatever I turned my mind to (b) understand selling and business and to see the positive dynamic energy of the process and (c) inspire me to commit to a higher work ethic. I think there are a lot of more modern books that do the same, but I still return from time to time to these old tomes for little nuggets of inspiration. At the time when I first read it (probably 25 years ago) I understood that I was predominantly about selling ideas, not products. Even then I was working to persuade businesses to take the environmental agenda seriously, and I could see that this was every bit as much of a sales process as selling anything else. This established a pattern in my reading, in that I’ve always been interested to read outside of my area because there are always parallels, and you get much better insights by looking outside the established conventions of your own group. It gave me the general belief that I could solve problems, and that I should work harder than my peers if I want succeed. Absorbing that lesson at an early stage in my career was incredibly useful. Freakonomics is about “the hidden side of everything” – how an economist with an open and enquiring mind can look at the systems that lie unseen behind a range of unconnected phenomena, and point to truths that we might otherwise ignore. For instance, it covered how systems had developed that encouraged cheating by teachers whose pupils were going through exams, and cheating in the sumo wrestling world which was supposedly governed by an overwhelming culture of honour. It is a fascinating and well-written book that encourages you to look at the world through different eyes. 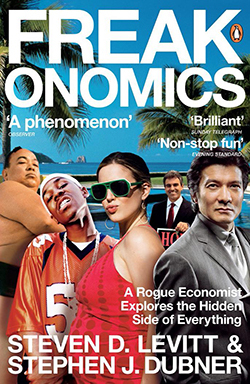 Freakonomics really taught me to see the world through the perspective of systems thinking, and when looking at social responsibility in business, to place more importance on how incentives were created and aligned with outcomes than to spend lots of time on whether people were ‘good’ or not. 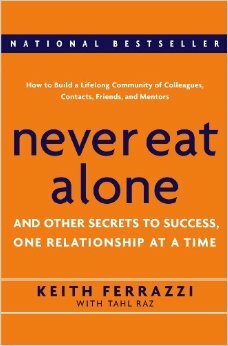 Never Eat Alone is about networking. But it’s more than that. It’s about how you build relationships strategically, whilst also understanding that you should put in positive effort to help people on their way without expectation of return. And if that sounds like a contradiction, you need to read his excellent exposition of the whole dynamic process, told through a series of excellent stories from his own life. Many people will think they know all about networking. Some of them have even been on courses. I meet them at events, and when I was at Business in the Community everyone there used to think they were expert networkers (10% of them were right). You’ve met them too. Within two sentences, they’re sniffing out whether you’re potentially beneficial to them. While they’re speaking to you, their eyes are darting around the room in case there’s someone else more important they should be speaking to. Needless to say, that’s a shallow, inferior shade of networking. Ferrazzi’s approach is based on generosity. Well-organised and strategic, for sure, but also with a general approach to help others because it’s part of the culture of what successful people do. Limited people don’t connect others because they want to guard their connections for themselves. True networkers see their network as a muscle – the more you can utilise it for the benefit of others, the strong it becomes. It became my aspiration to be the sort of person that helps people, who will never say no when asked sincerely for an introduction (the sincerity is an important proviso, of course, you don’t want to open your friends and contacts up to time-wasters and idiots). I think in some ways, when I created my ‘personal mission’ statement, the realisation that I was actually best at supporting people who were trying to make a difference – that reality had only come to be because of the behaviour change that began with this book. I read this book about two years ago. I knew for a fact that I needed to find a way to improve my mental toughness. How did I know this for sure? Tennis. I play tennis. Tennis is a game which is about skill and energy, groundstrokes, volleys, good movement around the court. But most of all, it’s a game that depends on what’s between the ears. Do you tighten up on the important points and make more errors, or play safe (which often means you lose the point)? Do you get down on yourself when you’ve made a few errors. Do you focus clearly on what’s going on, so you can adjust your gameplan in the light of the information that’s coming from the other side of the court? Two years ago, I was quite skilled, quite fit, but easily distracted and prone to losing points because of it. That, I realised, was just a more visible indicator of my general mental abilities. After all, why would your mental strength be any different to your physical strength? You only get stronger with regular exercise, right? 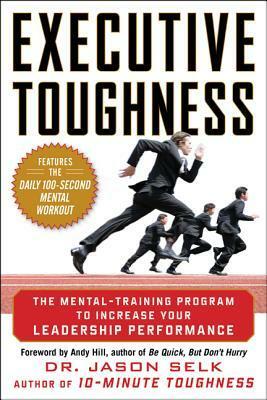 But what kind of exercise would improve your mental toughness? This book was highly beneficial from that point of view. It goes through the different components of mental toughness, gives practical examples of how this looks in practice, and what you can do to improve. It made a big difference to my understanding of what I’m here to do, and self-awareness about how I go about the different aspects of my life. Going through the process of defining my personal mission, and my top priorities, has made a real lasting change. I’ve gotten into the habit of organising my time in support of my top priorities, and holding myself accountable with regular self-accountability. I’m even getting better at being focused when I play tennis. I said better. I didn’t say perfect. 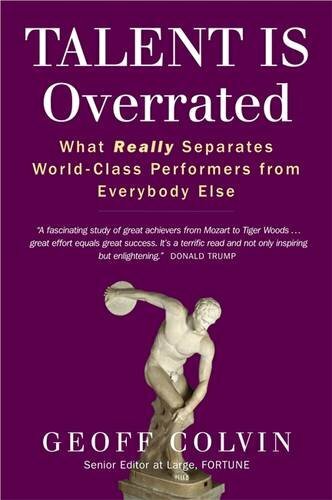 This book convinced me of the single one thing that ALL my friends disagree with. And not only do they disagree with it, they VEHEMENTLY disagree with it. I still am amazed and bemused at the strength with which that disagreement gets expressed. 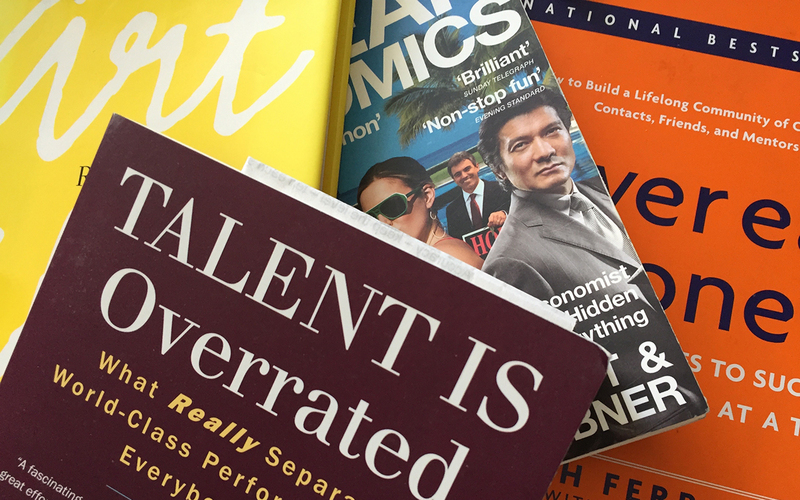 The view, simply put (and the clue is in the title) is that there is no such thing as innate talent. It is all learnt. Geoff Colvin goes through all the evidence, including all the figures like Mozart and the like that are often quoted to refute the argument, and in my view pretty conclusively shows that there is one process in play here. People that become world-class get that way by spending more time than the rest engaging in deliberate practice. Deliberate practice is not just what normally passes for practice. It’s a very focused process of focusing on the things you’re not good at – pushing outside the comfort zone – which is not how people usually practice. And people like Mozart? All of those apparent prodigies simply started the learning process, guided by an expert teacher (in his case, his father), at an earlier age than the rest meaning that they got their 10,000 hours of practice under the belt at a much earlier stage. If my friends are anything to go by, you won’t accept this and you’ve already thought of three objections. Read the book. Keep an open mind. Ask yourself what really changes if it’s true. The thing is none of those friends have come up with arguments backed by evidence to support the completely intuitive claim that some people are just born with a particular talent. We just feel as though it must be so. But it’s actually tremendously empowering to realise that – actually – it’s about the amount of time you’re willing to put in, and the amount of discomfort you’re willing to put yourself through in doing high quality deliberate practice. The way I approach practice changed, and my belief in my ability to become better at the things at which I want to excel was bolstered. 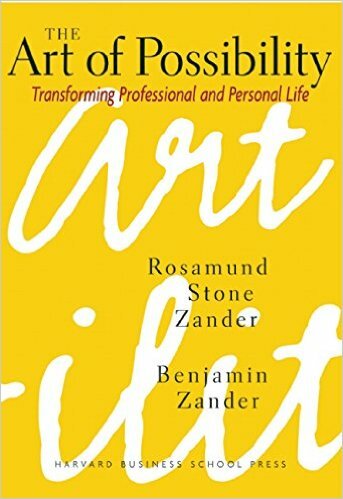 I saw Benjamin Zander speak once, thanks to the BITC awards. He was utterly brilliant at projecting a positive and creative mindset. You can get a sense of this from his excellent TED talk where he teaches an audience of hundreds to love classical music, and throws in lots of life lessons on the way. The book takes this a bit further. For me, it was most influential in teaching me how to really empathise with what’s motivating others, and particularly others with whom you find yourself in conflict. And to always see the positive possibilities in any situation. It’s so easy to say, but really a special book that helps you to do it in practice. There have been a number of times when I’ve ended up in a conflict with someone where I’ve reviewed the Zanders’ process of ‘giving someone an A’ and it’s completely changed my fixed beliefs about what that conflict has been about. Every time that happened, it enabled me to reach out and change the frame for the dispute, which led to a rapid resolution. Has that happened every time in my life I’ve faced conflict? No. Sainthood eludes me yet. But it has certainly made a real change in my positivity and my understanding of other people. Of course there have been plenty of other books that have helped shape my thinking and world view. But these were the ones that stuck in terms of changing habits, ways of working and ways of living. It's easy to read lots of words, to agree with every one of them, but never to actually make the leap from nodding your head in agreement to actually changing what you do on a day-to-day basis. You'll also note that I haven't included in here books that shaped my thinking on issues, on the environment and corporate social responsibility. I haven't included books on religion and atheism, politics, history and any of those things that influence what we think about stuff. These are purely about habits in all aspects of your life to help you to be more successful in whatever terms you define that. What books changed your daily routines or habits? What did I miss out that would be on your list? I would be fascinated to know!